My first lino-cut attempt! 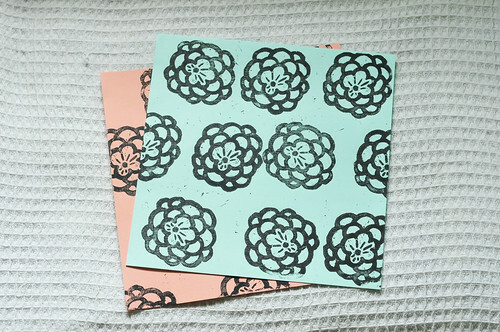 I chose a design that was loosely inspired by peonies and it ended up being a bit too small and plain to stand alone, so I used it to make a repeated pattern. 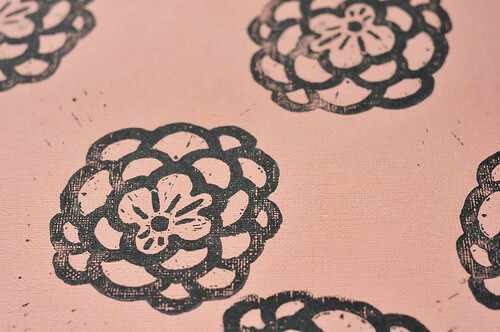 I wish I could say that the disorderly positioning of the flowers was intentional, but that's just what happens when you try to align multiple prints (with the lino block under the paper) without using any guides. I've got to find out how the pros do it! 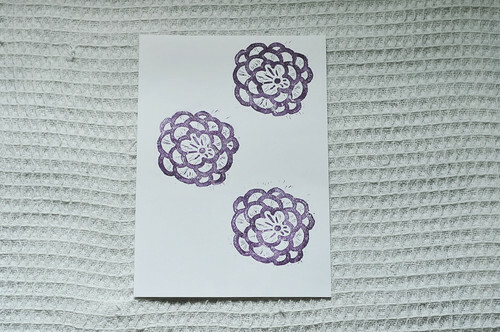 These purple prints were made using a tiny ink pad meant for rubber stamps, because I was getting tired of black. 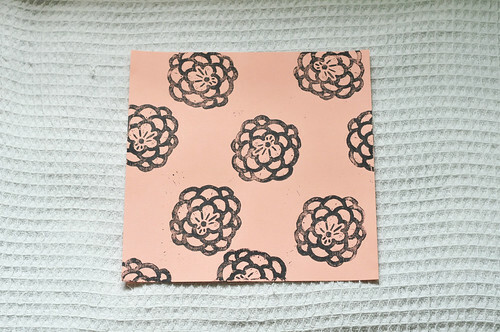 I had to stop after three prints though, because the ink was starting to ooze out of the pad. Oops. 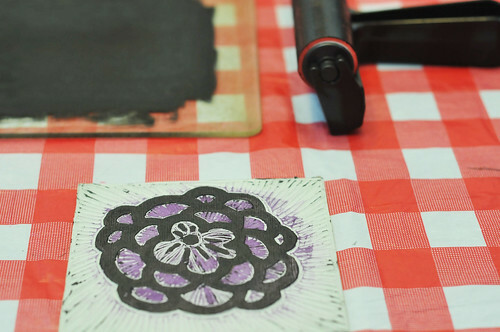 I think lino-cut is great way to get started with print-making, because the materials and tools don't cost a lot (I paid less than S$40 for everything), it involves just two steps: carving and printing, and you can find plenty of great lino-cut tutorials online. Give it a go!